A businessman, Musibau Abudu as been killed by some unidentified gunmen. The incident occurred at his residence on Itelorun Close, Haco bus stop, Adeniyi Jones area of Ikeja, Lagos state. Abudu’s neighbours told PUNCH Metro that the gunmen entered the area around 2am last week Thursday to steal some inverter batteries and also to rub residents of their valuables. In the process while the robbers were robbing Abudu’s compound, he stepped out of his apartment and was shot in the head. One of the deceased neighbors, Afeez, said Abudu was rushed to the emergency unit of the Lagoon Hospital on Adeniyi Jones Avenue, where he was declared dead. Afeez said, “On Thursday, I received a call from my neighbour, Folayemi, who saw some unfamiliar people using their phones’ flash light around the canal at the back of our house, some of them were already inside our compound and while we were thinking of what to do, I suddenly heard three gunshots. I could not come outside until around 6am when we started hearing familiar voices of neighbours, who were trying to rescue Abudu. “Immediately I came out, I saw people gathered around someone, who was lying on the floor. I thought it was one of the robbers, but when I moved closer, I discovered that it was Abudu. He was trying to speak and so people rushed him to the emergency unit of the Lagoon Hospital, where he died. It was later that we discovered that the armed robbers came to steal inverter batteries.” When contacted, Folayemi said the noise of someone jumping into the compound woke her up, adding that she alerted her neighbours when she sensed danger. She stated, “I heard the noise of someone jumping into the compound and that woke me up. After I woke up, I peeped through my window and I saw a man on the fence, who held a torchlight and was trying to call the others. So, I started calling my neighbours on the telephone, Afeez and the man who was shot dead, to alert them that robbers were around. Few minutes after, I heard the gunshots that killed the man.” One of the security guards on Itelorun Close, Thomas Victor, said armed robbers were fond of entering the close through the canal, adding that the house, where Abudu was killed, had been robbed before now. 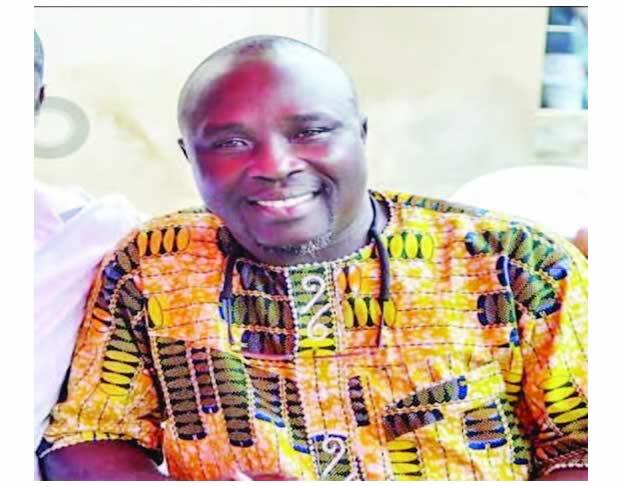 He said, “When I resumed around 7am, I did my routine checks by going round the close to look out for any strange vehicle and in the process, I saw people gathered in the deceased’s compound because of the incident. “This was not the first attempt by robbers on that compound; they even came last week to steal an AC cable. Another incident happened last year, but the thief was caught. The robbers usually take advantage of the canal behind the close to commit crime.” When contacted, the deceased’s sister, Keji Adeluola, said Abudu’s death came as a shock to the family, adding that the remains of the father of two had been deposited in the Lagos State University Teaching Hospital’s mortuary. The state Police Public Relations Officer, DSP Bala Elkana, who confirmed the incident to our correspondent, said the command had intensified the manhunt for the hoodlums, who killed Abudu, with a view to bringing them to justice. “A murder case was reported to the police. Efforts are being intensified to apprehend the culprits and bring them to justice,” Elkana said.